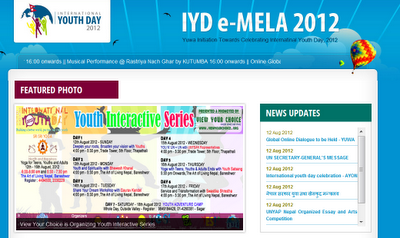 On an overall, thousands and thousands of events going around the world for youth and that's amazing for sure. 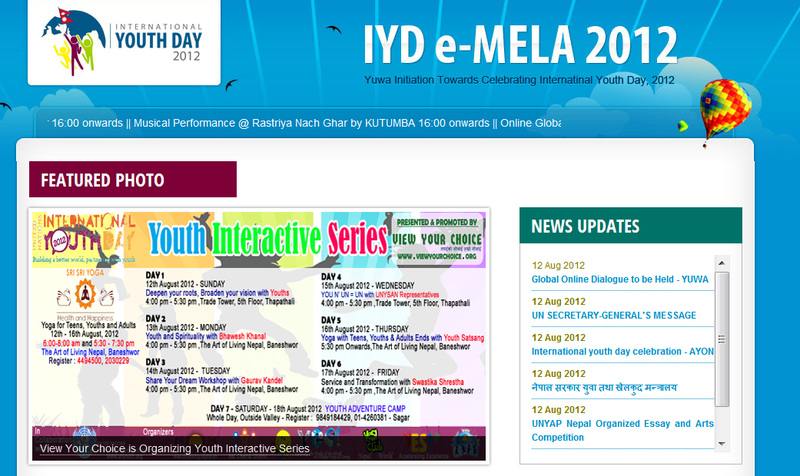 And for sure the interesting one i will give my best on updating you here in this entire week as i celebrate the entire week, month of August as International Youth Day but for me every day is my day and its for sure My Youth Day ;) and Let's make it Our Youth Day . I am taking Share Your Dream workshop for more than 200+ participants and yes for sure they are youths from St.Lawrence College in Chabahil, Kathmandu, Nepal. Almost the most of the hours of my day is going to be with them for sure :) and that's gonna be amazing for sure. Today, we will have the awesome youngsters from diverse sectors and the series will blast with fun and amazing sharing with all innovative people like YOU who will be attending it. Check the dates and timing with venue. Where and What's happening ?